Is this the end for Jacob Zuma? "The tide is turning and we are now at a tipping point." 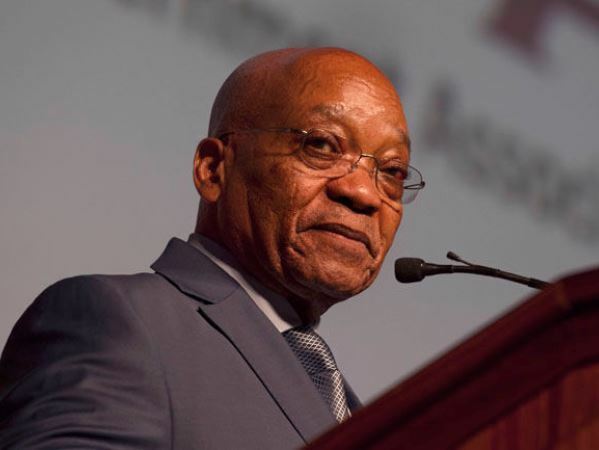 President Zuma's future hangs in the balance after members of the ANC's national executive committee (NEC) asked him to step down this weekend. Tourism Minister, Derek Hanekom, sent shock waves through the party when he made a motion at the weekend, in which he asked President Jacob Zuma step down from the NEC. "Those set on removing Zuma were lobbying for a secret ballot to determine the president’s fate," City Press reported. "A secret ballot could be the nail in Zuma’s coffin as it would empower those who fear a backlash. The NEC meeting in Irene in Pretoria had already ended on Sunday, but the ANC spokesperson Zizi Kodwa confirmed the meeting would continue on Monday. "The tide is turning and we are now at a tipping point," says Professor Andre Duvenhage, a political analyst linked to the North West University. "The NEC is the highest decision-making power within the ANC and was one of the last bodies still defending Zuma." It is guaranteed that the NEC members who want a secret ballot will get their wish, says Prof Duvenhage, adding it would require an amendment to the convention, in which such votes are not permitted. It’s being speculated that over this weekend Derek Hanekom saw a gap over this weekend and may have outmanoeuvred many Zuma supporters who weren’t present at the NEC meeting. Ekurhuleni mayor Mzwandile Masina tied the knot in Stellenbosch this past weekend and a few Zuma loyalists attended the affair. “I don’t believe that Derek Hanekom planned the move. I think he noticed that a few of Zuma’s supporters were absent and took the gap,”says Prof. Duvenhage. Because Zuma has managed to escape all other motions of no confidence filed against him, it’s like that he’ll survive this one too. The NEC meeting is still underway at the moment.